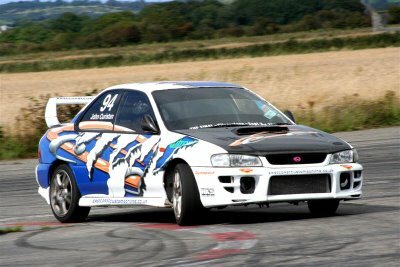 A statement from Subaru read: "Called the RB320, the new car features around £6,000 worth of extra equipment including the 320 PS Prodrive Performance Pack, yet costs £29,995 on-the-road – an increase of only £3,500." Available only in Obsidian Black, the RB320 features bespoke 18 ins alloy wheels and specially developed Prodrive suspension comprising Bilstein dampers, a sports spring kit with revised rear anti-roll bar and a ride height lowered by 30 mm at the front and 10 mm at the rear. 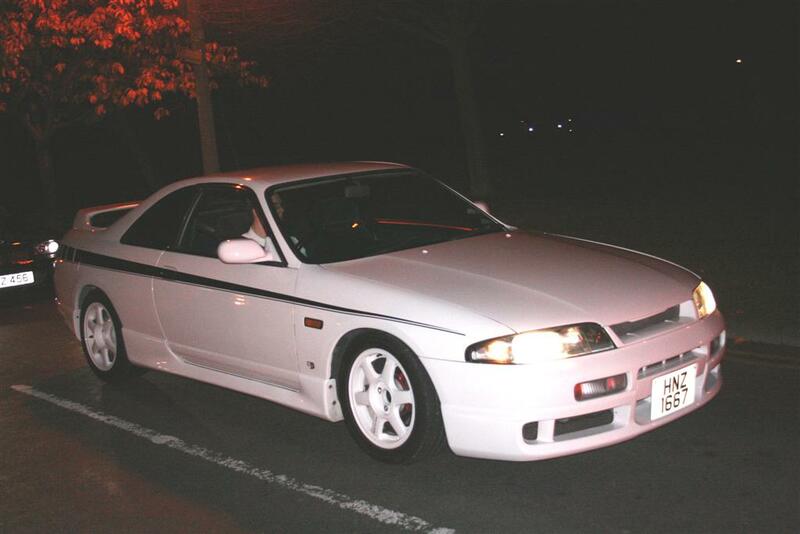 Also standard on the RB320 are a chrome mesh front grille, front lip spoiler, quickshift gearchange, side sill plates and RB320-branded gear knob, carpet mats and exclusive exterior badging. Each owner will also receive an individually numbered black alloy tax disc holder.The PPP boosts power to 320 PS at 6,000 rpm with torque leaping to 332 lb ft at 3,700 rpm. 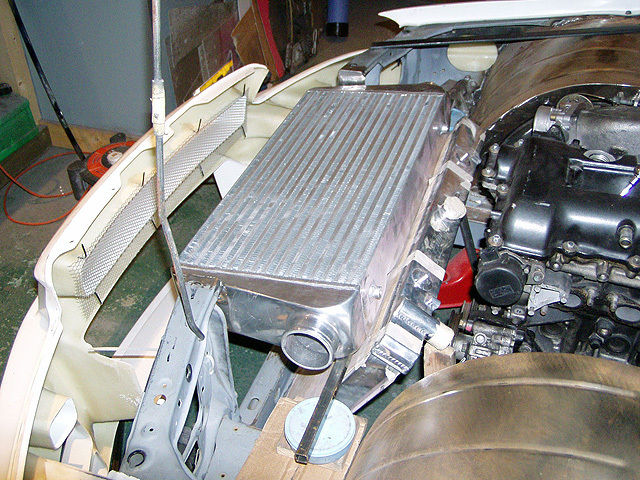 This reduces the 0-60 mph time to 4.8 seconds with a 0-100 mph time of 12.2 seconds. 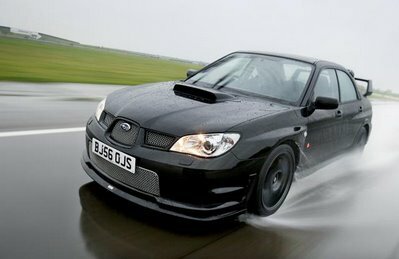 And as a further incentive, those customers placing early orders with deposits will be offered a limited number of places at a special RB320 launch event next March at Prodrive's test track in Warwickshire.Not only will RB320 fans take delivery of their cars at the circuit but will be able to drive demonstration STIs around the track and meet rally celebrities. 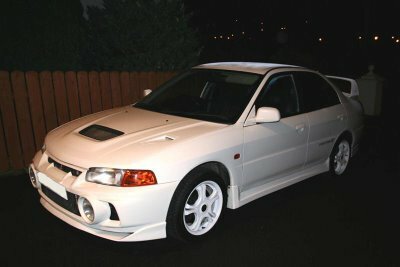 "Finally, the first car is to be given away in a special raffle organised by Autosport magazine, donated by Subaru (UK) Limited. 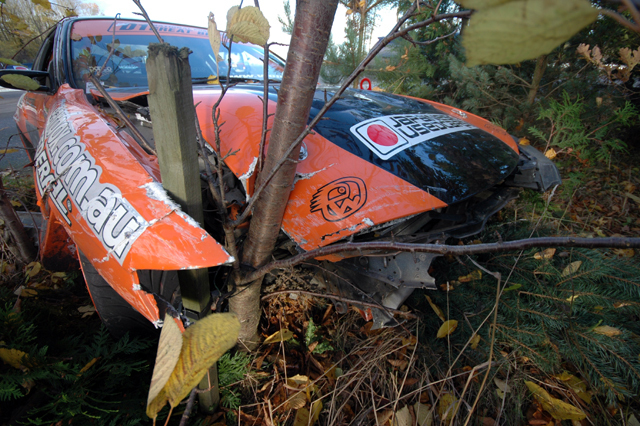 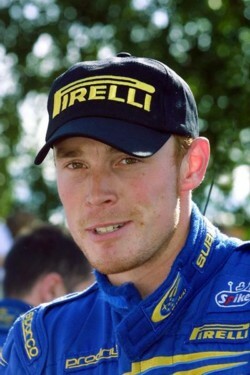 The proceeds will go to the Richard Burns Foundation which helps those suffering from serious injury and illness." 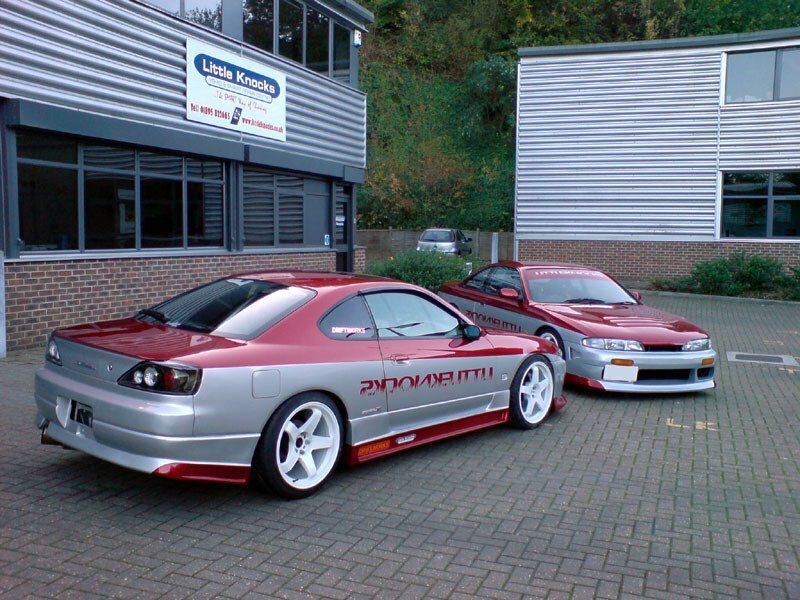 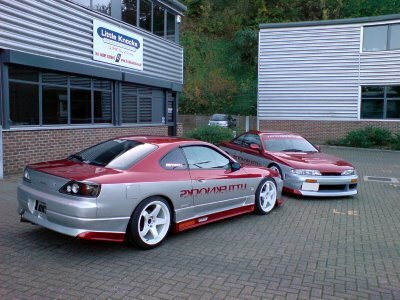 Im sure Phil will have the car back in 100% as his spare, now he his building his D1 spec S15 Silvia! 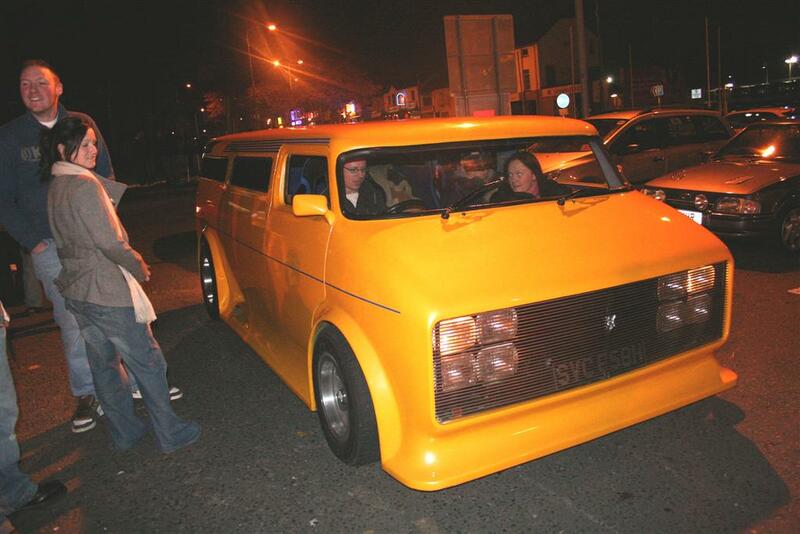 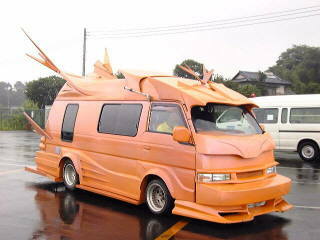 Here is some photos of my friend Wez's new van, he imported it from Japan, straight from the sound system scene, often found in Daikoku Fotu rest stop, its truly INSANE! 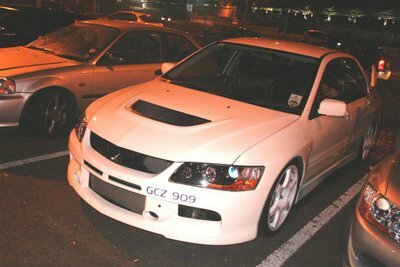 Aww there's nothing like a new car, and now there's 2 more new cars at the house! 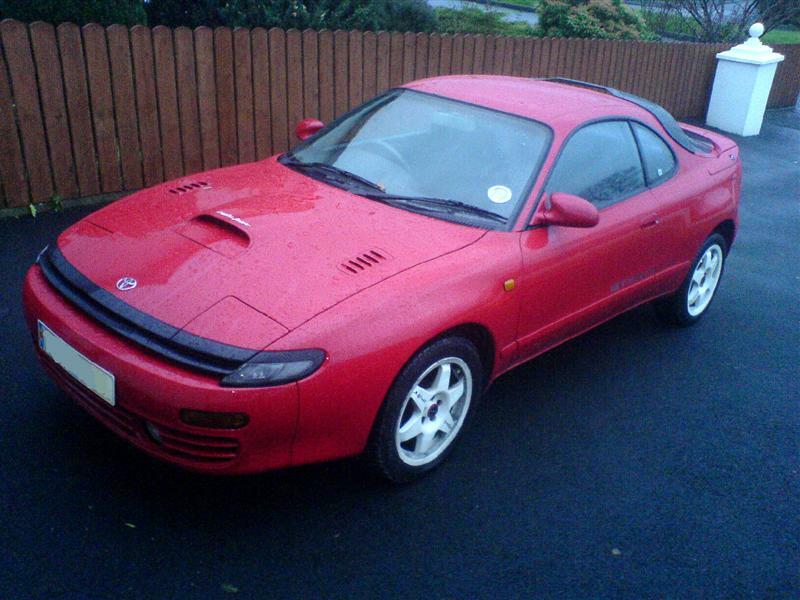 First is Mitsubishi Lancer EVO 4, and then Dad bought this red Toyota Celica GT4! 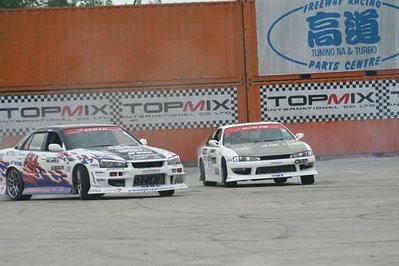 Here are some photos from the day at Bishops Court Circuit of Drifting and Time attack. 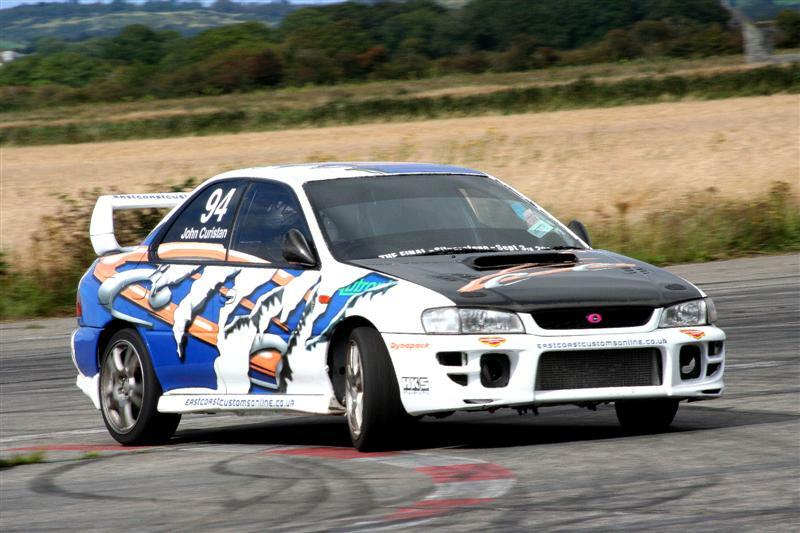 ECC Subaru was impressive winner on the day! 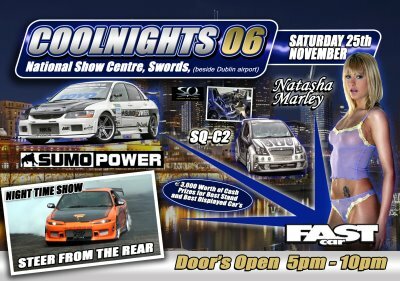 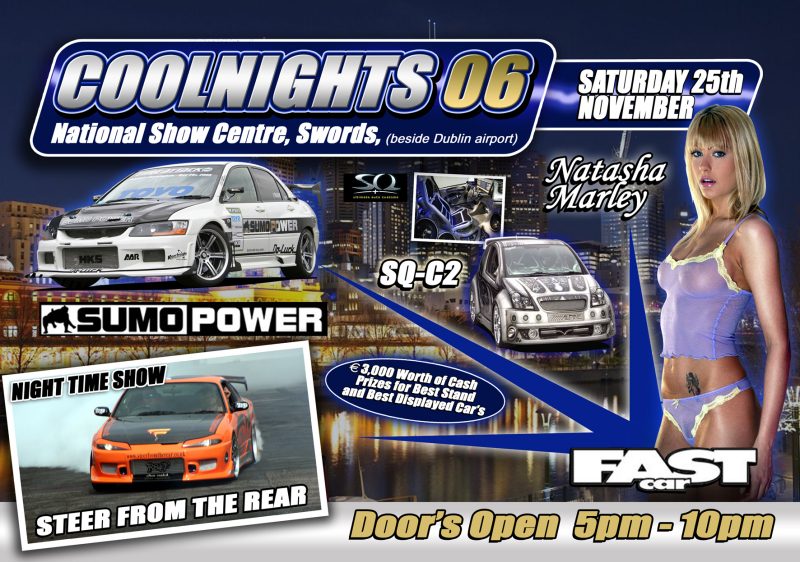 More soon, im going to Cool Nights show in Dublin on Saturday. Today i received some photos from my friend Barky! 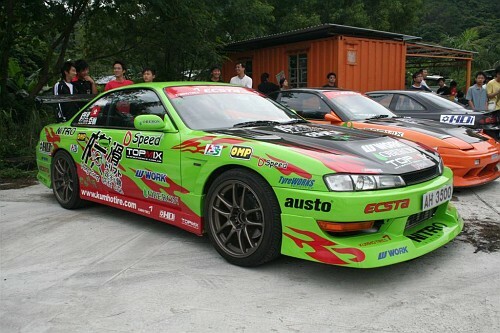 He was away in Hong Kong visiting family and managed to catch up with some drifters. 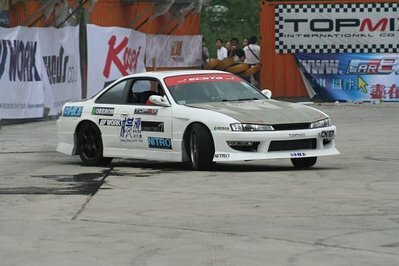 It was a small event, as drifting is only starting in HK, but they had a high skill level and great cars. Barky had a great time, and said i have to visit HK for sure. Maybe soon man...Thanks for photos and update, i love hearing about news from all over the world. 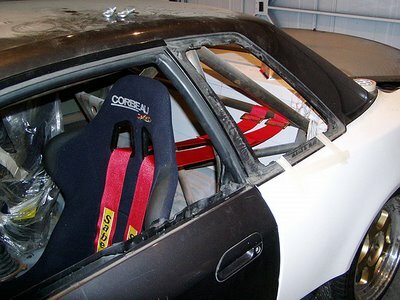 Hey, here is a quick update today of my friend's Skyline, now with cage in, bucket seats, harness, and engine work complete with V mount intercooler! 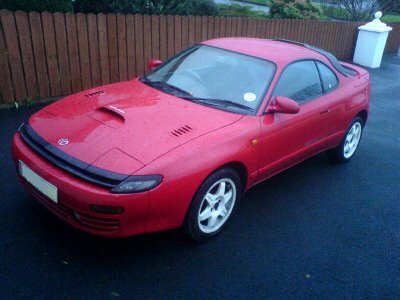 Also i got a chance to look at another car today, its still not finished but will be ready for D1 drift season in new year, its the 180sx above! 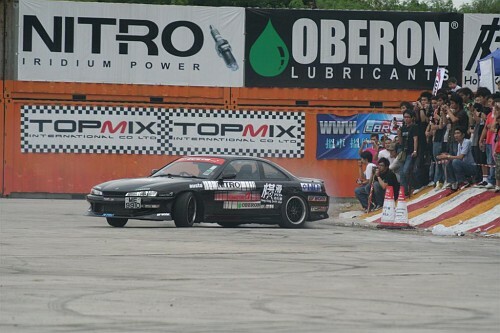 also with sr20det engine conversion! 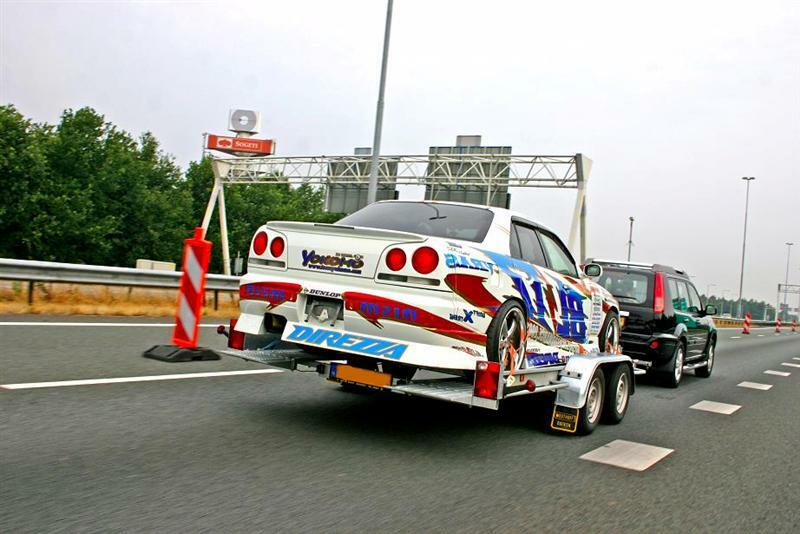 Some photos of the D1 Street Legal R34 Skyline, built by Nomura Ken's 'Uras/monkey' tuning shop in Fukuoka,Japan. 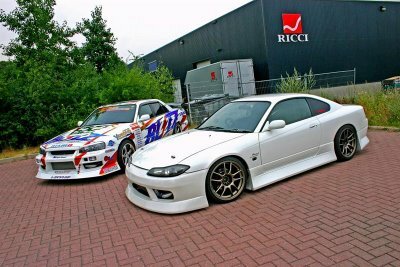 The car is now safely landed (along with a Vertex S15 Silvia), i get to do a full photoshoot soon, i can't wait! 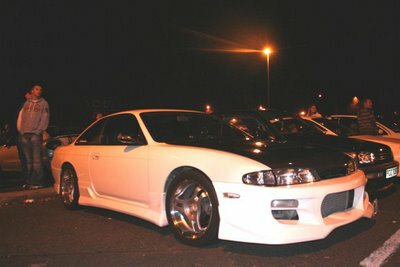 Here are some photos from the car meet in Bangor! Fast Car magazine was here from UK, so a huge crowd attended the meet. 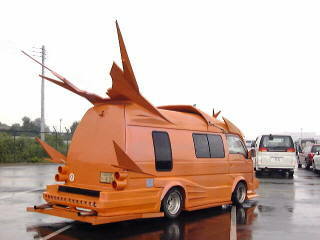 More than anyone would expect. It was bumper to bumper traffic jam, with hunreds of cars and people out. 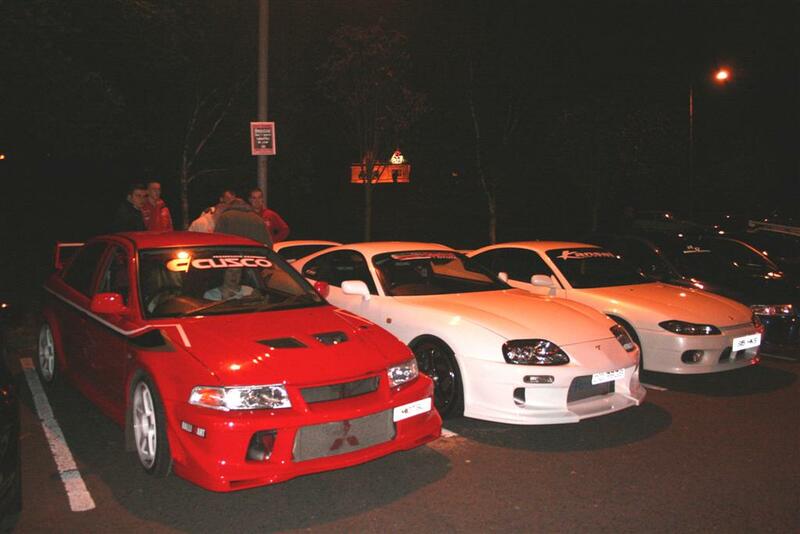 Some really great cars on display, another VERY busy night in Bangor for car enthusiasts! 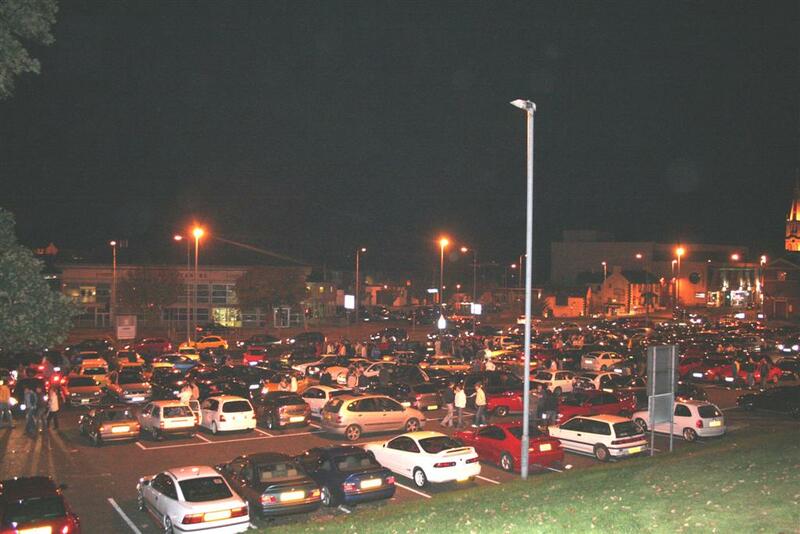 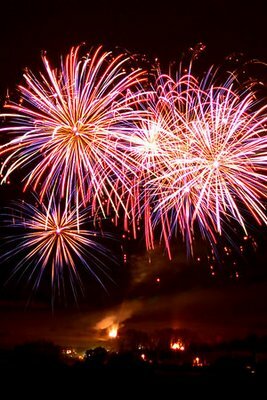 Here are some photos from Holloween weekend,fun! 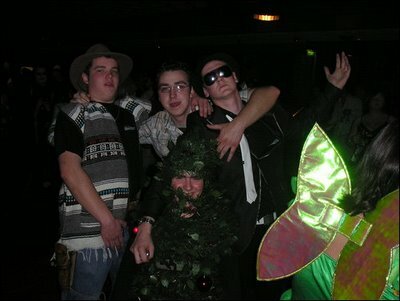 also theres a pic of my mate Ryan dressed as a Christmas tree,with a mexican and some other guys haha, Crazy! 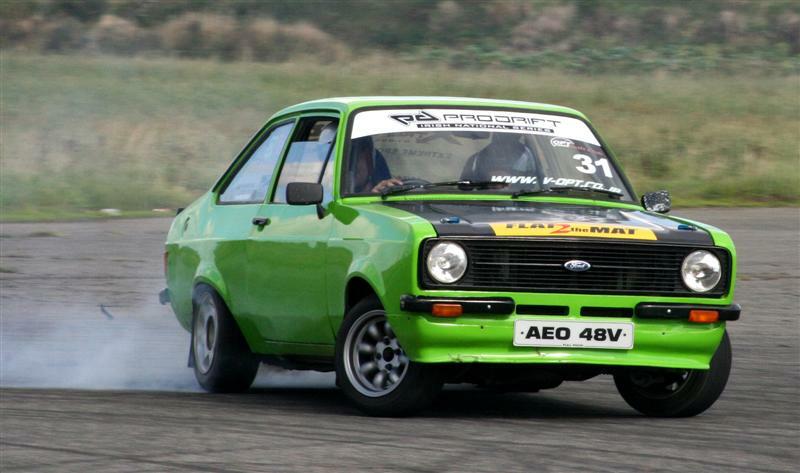 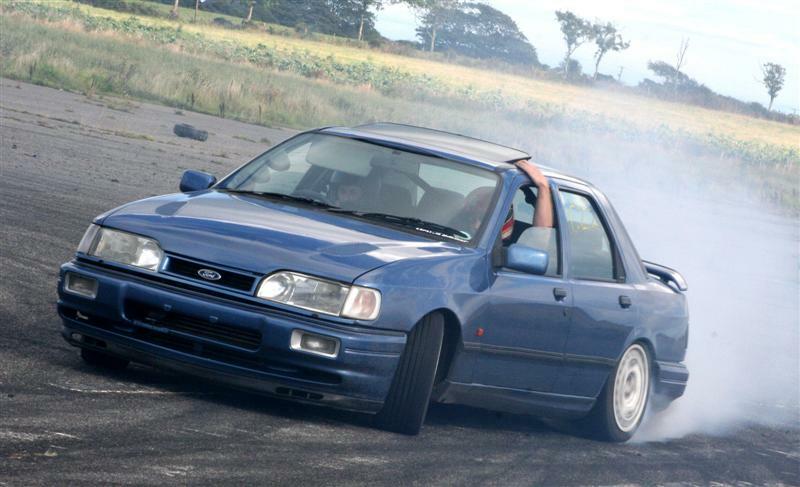 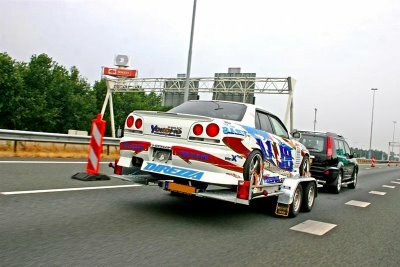 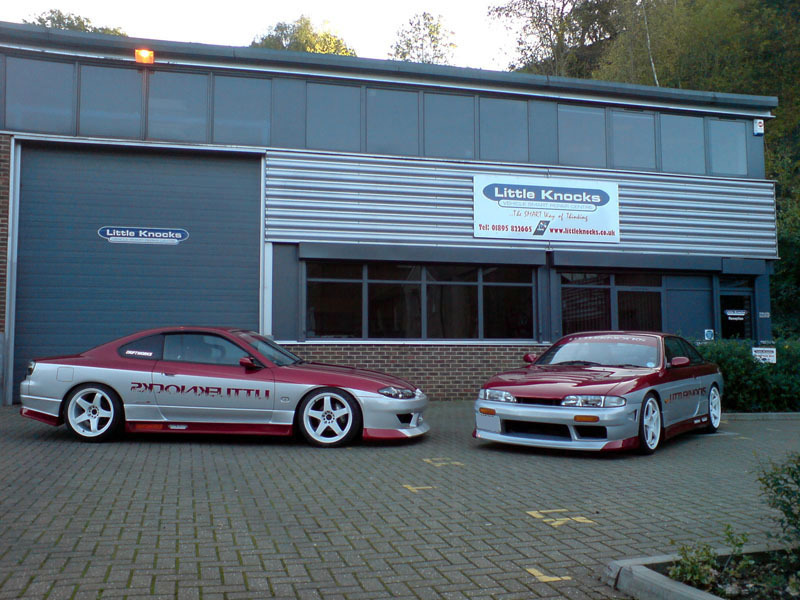 Here's some quick photos of the 'Little Knocks' tuning shop's new Drift cars for next season. 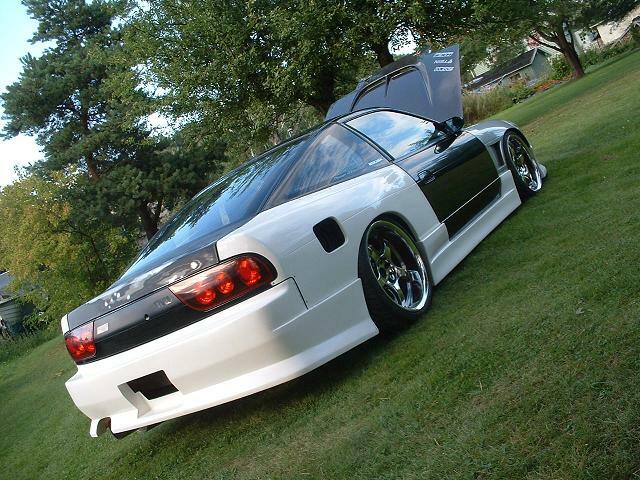 Full drift spec, Nissan Silvia S14 and S15, watch out for them in action after the new year.